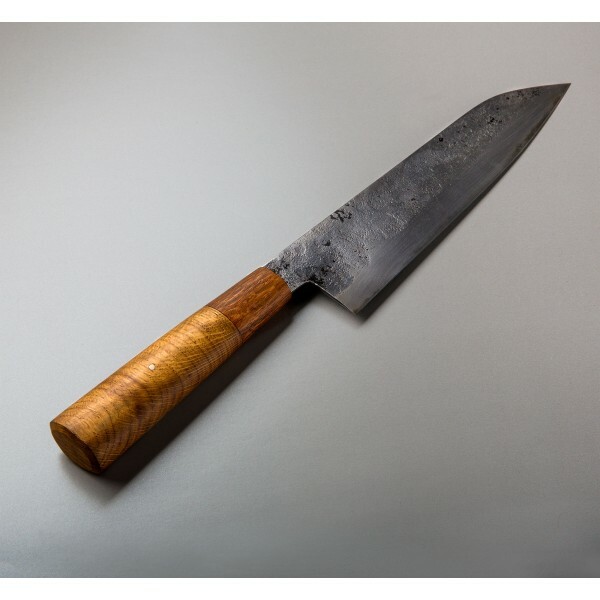 A pinned oak handle with louro faia wood bolster accents this 220mm gyuto hand made by Bryan Raquin. The san may steel, made by Bryan, consists of XC10 carbon steel jackets (outer layers) and 145sc 'super clear' steel, containing 1.45% carbon, at the edge. 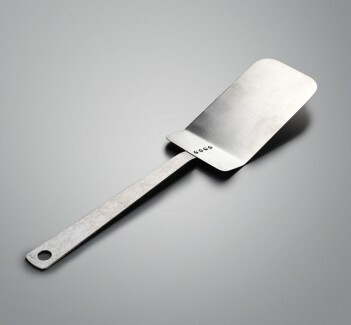 A hefty knife that feels powerful in the hand and ready to bare down on any cutting task. 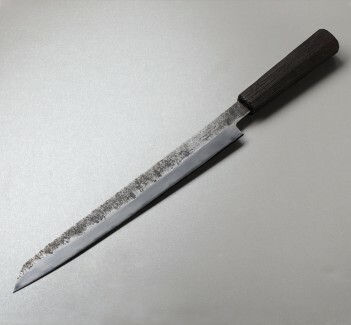 With use and regular cleaning a beautiful patina will develop on the blade, protecting it and ensuring generations of use. Another stunning one-of-a-kind kitchen knife from central France. Blacksmith Bryan Raquin's work is influenced by Japanese blades and design as evidence in this beautiful gyuto (the term used in Japanese cutlery to describe a 'chef knife'). Producing his own san mai steel, Bryan performs every step of each knife build by hand, from welding the steel to forging then shape grinding the blade, to sharpening on a series of Japanese wet stones. Working from his shop in central France, Bryan has an eye for the tools we use daily and appreciation for simple, functional design. 220mm (8.66") blade, 14.5" overall. 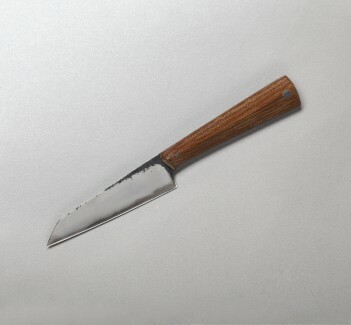 3-layer san mai steel (145sc edge, XC10 jackets) hardened to 63-64 HRC, oak wood handle with louro faia bolster. I love the knife. 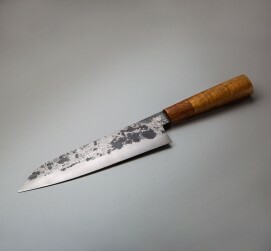 The weight, wood and rustic look of the blade make it a gorgeous piece.